masnasih.com - To strengthen the articles we write, we need to quote the writings of other people who have already discussed them, or he is the expert. 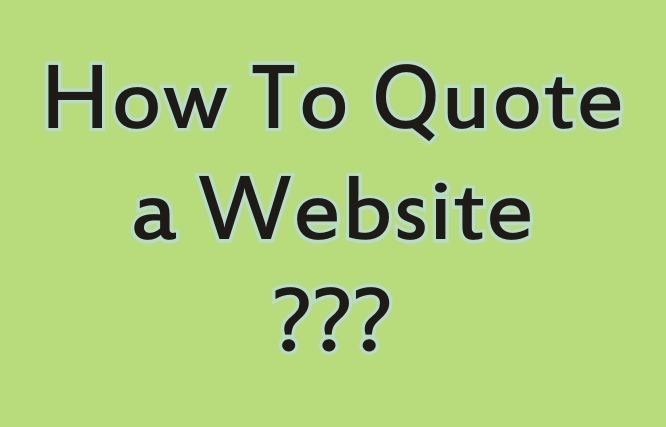 In quoting an article on a website, you must use good procedures. Don't quote without rules so that they are considered as plagiarism. Citing a post on the website should use the following method to comply with the applicable rules. in each quote you should not overdo it. It's better to get a little but go straight to the point, rather than a lot, but actually makes the reader confused. Citing a good one quotes one sentence and then explains it in its own language which clarifies the point more. Avoid quoting too much writing on one website, because it will reduce the value of the article itself. If you really need a lot of references, you should not just rely on just one website, but we can quote it from various websites so that our articles are of higher quality. Citing from various sources will make our article look stronger because it is rich in information. Taking references from various sources also makes it easier for readers to find the references they need. Include sources in the form of bibliography below the article. To notify the reader, and also respect the original owner, we need to include the source url that we quoted. If necessary, give an active link so that readers can directly access it. Including sources is one way to make articles not considered plagiarism / stealing other people's ideas. So the way to cite a good and correct website is to take core sentences from various sources and include the source in the literature list. Thus the article about how to quote a website. May be useful.